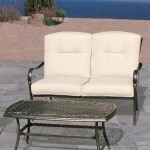 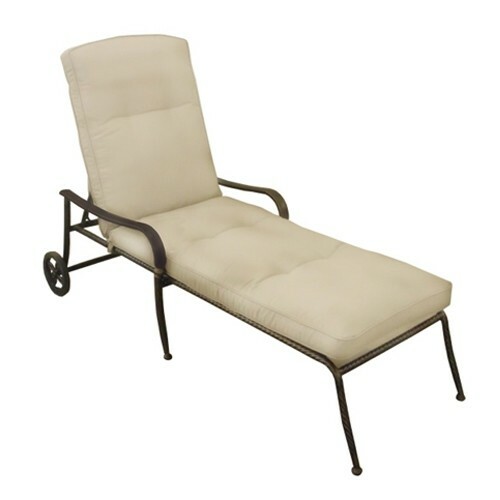 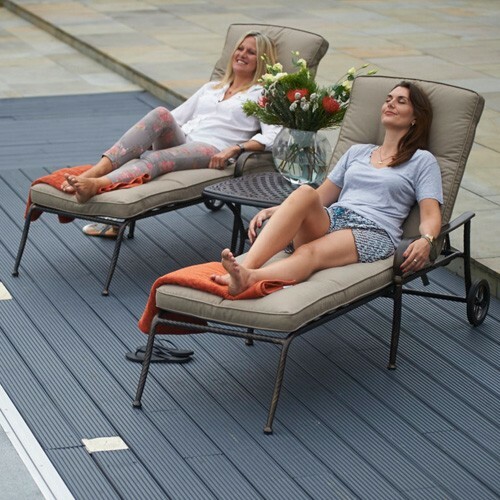 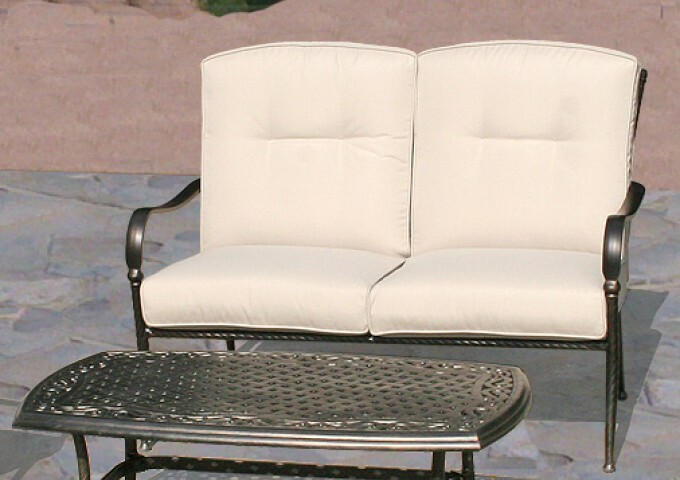 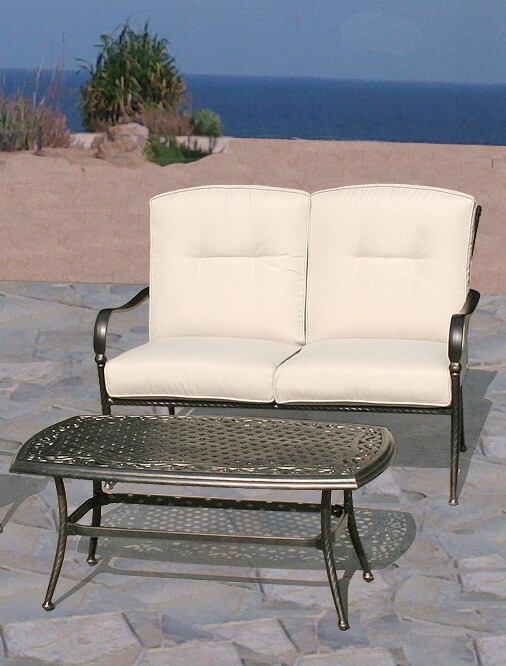 This small lounging set is perfect for relaxing in the garden with a cup of tea and a newspaper. 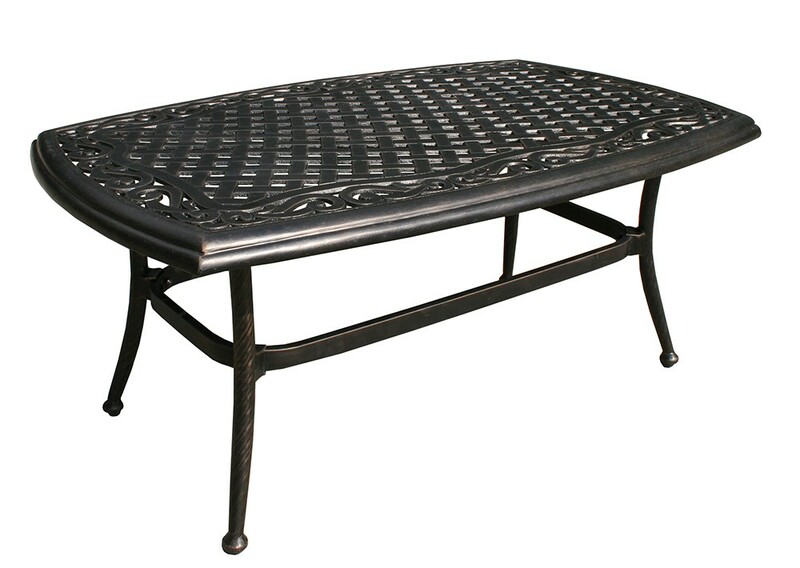 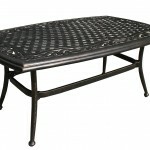 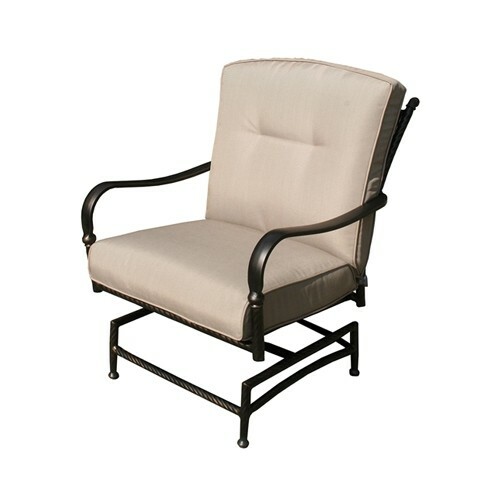 Made of cast Aluminium, the style looks very traditional but has all the benefits of Aluminium furniture. 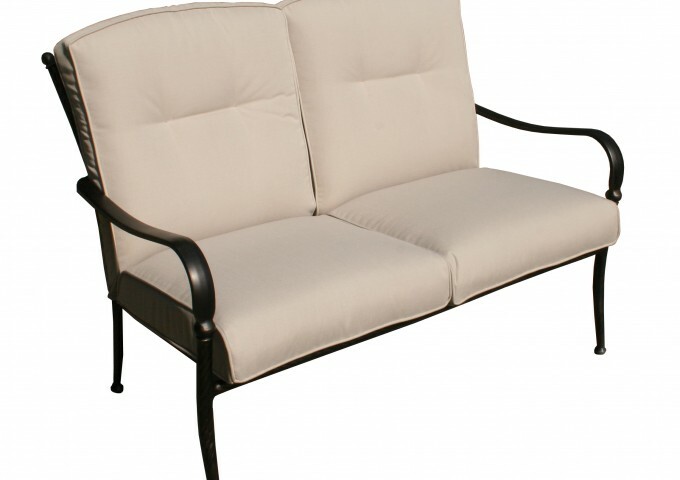 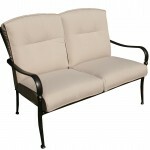 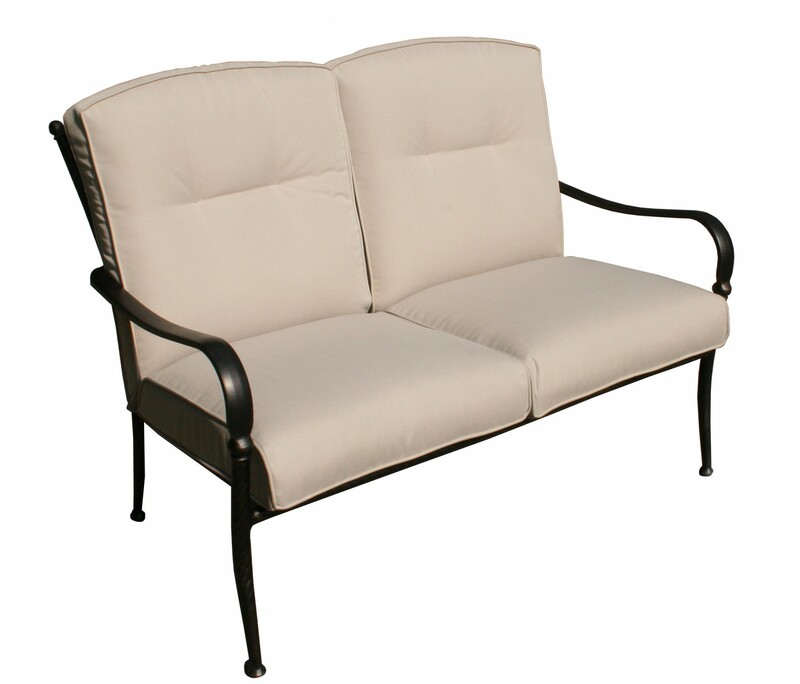 The cushions are an attractive beige colour and are very comfortable to sit on. 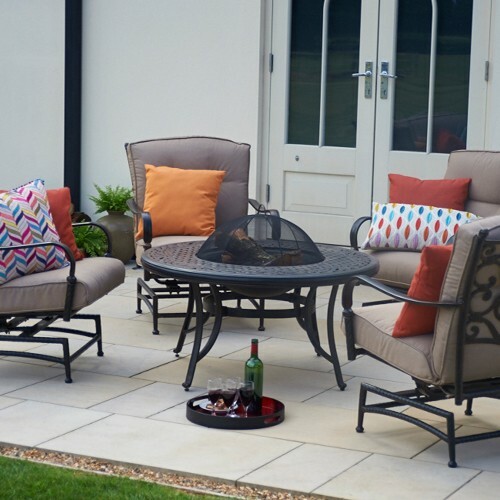 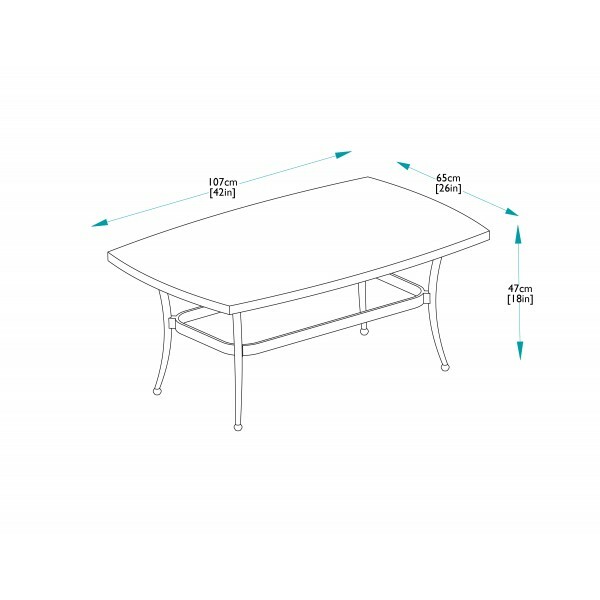 This set requires very little maintenance, simply store the cushions when not in use and clean the frame with warm soapy water when dirty.